This Week in the Civil War…..
Confederate Gen. Robert E. Lee wrote this week 150 years ago in the Civil War to the president of the Confederacy as his battered army continued its recovery from defeat at Gettysburg. Both North and South had experienced heavy bloodletting in the fight and were bidding to regroup after what would turn out to be the pivotal battle of the war. In a letter dated July 31, 1863, Lee told Confederate President Jefferson Davis that the adverse turn of events at Gettysburg for the South cannot be blamed on anyone but himself. “No blame can be attached to the army for its failure to accomplish what was projected by me, nor should it be censured for the unreasonable expectations of the public. I am alone to blame, in perhaps expecting too much of its prowess & valour,” Lee wrote Davis. In the same letter, Lee added: “Our loss has been heavy, that of the enemy’s proportionally so.” And he concluded that his plan could have worked if all the elements of his war strategy had come together as expected: I still think if all things could have worked together it would have been accomplished.” Many letters were going back and forth between Davis and Lee at this point in the war, with Davis at the time promising to rapidly furnish more fighters for the badly depleted Army of Northern Virginia. Look for gold in North Carolina…..
in the Nantahia Mountains. The cave was not far from Factory Creek near Andrews. 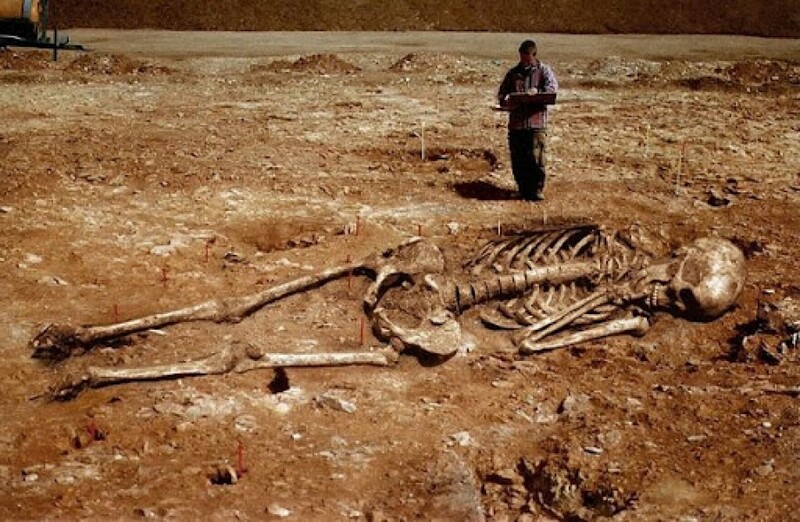 The cave entrance has never been found. 2….Silver can be found in the Unaka Mountains near the Tenn State Line. mountain West of Smokemount near the Tenn state line. of the Nantahala Mountains near Franklin. going upstream, contain Rubies and Sapphires. Swain or Haywood countyies. Known as the Lost Delosia Mine. 3….From 1790 to 1840 Rutherford County was the principal gold source in the U.S.
1….The Copper Hill lost Silver Mine is located in the area of Jonas Ridge. Gold is still being found ranging from grain size to walnut size in this area. 1….Gold can be found in nearly all the streams the entire length of lthe NC/SC border. Claims available in New Hampshire…contact local BLM to file…. 10 Things That Must Happen To Save America. “The American people will never knowingly adopt Socialism. But under the name of “liberalism” they will adopt every fragment of the Socialist program, until one day America will be a Socialist nation, without knowing how it happened.” Norman Thomas, for many years U.S. Socialist Presidential candidate. 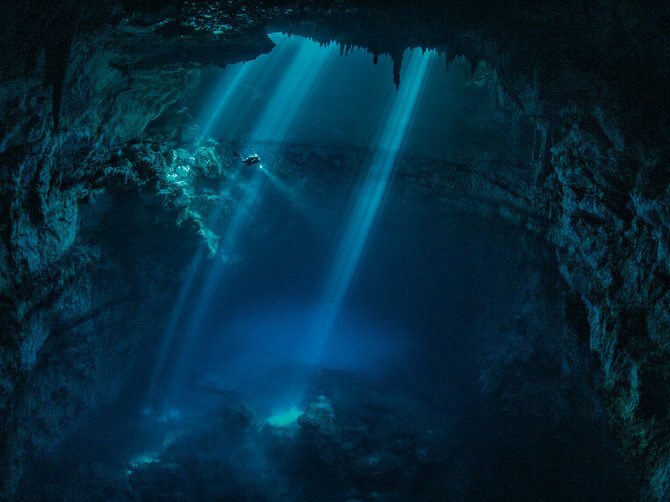 A diver explores a cenote near the Maya ruins of Tulum. A cenote is a deep natural pit, or sinkhole, characteristic of Mexico, resulting from the collapse of limestone bedrock that exposes groundwater underneath. Especially associated with the Yucatán Peninsula and some nearby Caribbean islands.. Cenotes were sometimes used by the ancient Maya for sacrificial offerings …. 10 Things That Must Happen To Save America….. The media must relearn the basics of reporting. The lamestream media twists the truth and incorrectly reports so many things that they can no longer be trusted to report the truth. Politicians must get back to supporting and preserving the ideals as set forth in the Constitution. Liberalism must be stopped before it further destroys the nation. Liberal ideas are an anathema to the great things America used to be able to achieve. Welfare must be ended. Anyone who spends their entire life on welfare and is proud of it should be ashamed of themselves but unfortunately they seem to revel in it. Americans who don’t have a work ethic must develop one and take pride in their achievements and successes. You cannot expect others to provide for you when you are perfectly capable of providing for yourself. Honor, integrity and ethics must be restored. We need to stop catering to and pandering to those in the media spotlight whose bad behavior is constantly rewarded. Those who try to take away our rights to life, liberty and the pursuit of happiness and who seek to destroy our Constitutional rights need to be exposed for who they really are and if in politcal office they need to be voted out. Common sense needs to be restored to politics, the media, and individuals as they go about their daily lives. Personal Responsibility needs to be the backbone of every individual when it comes to living their lives. Support and defend the Constition of the United States of America. Anyone trying to pass laws contra to the constitution should be brought up on criminal charges. 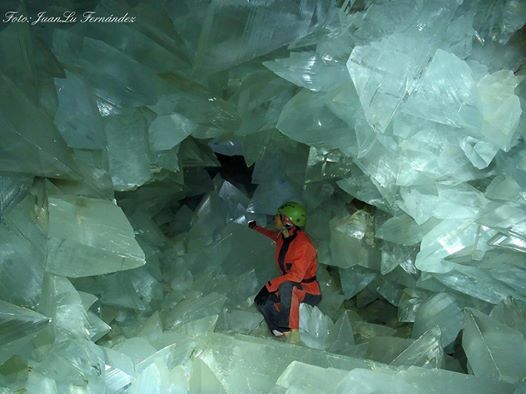 The Giant Crystal Cave in Mexico under Naica Mountain. 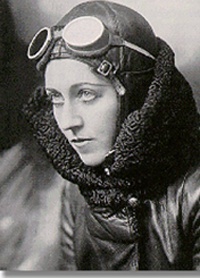 Amy Johnson, English aviator 1903-1941 One of the first women to gain a pilot’s license, Johnson won fame when she flew solo from Britain to Australia in 1930. Her dangerous flight took 17 days. Later she flew solo to India and Japan and became the first woman to fly across the Atlantic East to West, she volunteered to fly for The Women’s Auxiliary Air Force in WW2, but her plane was shot down over the River Thames and she was killed. 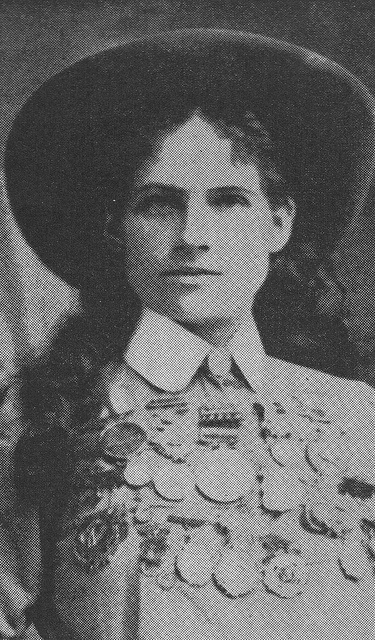 Phoebe Mozee (aka: Annie Oakley). Famed for her marksmanship by 12 years old, she once shot the ashes off of Kaiser Wihelm II’s cigarette at his invitation. When she outshot famed exhibition marksman Frank Butler, he fell in love with her and they married. They remained married the rest of their lives.